The sea otter is the smallest aquatic species in the world, although it is the largest in the Mustelidae family. It has a strong and long tail which it uses to steer itself in the water. It has strong hind limbs that are large and used as flippers. Instead of blubber like other marine mammals, the sea otter possesses thick fur which insulates it from the cold marine environment. As a way of sustaining the insulation of its fur, the sea otter is known to groom by filling its fur with air through blowing it, rolling, and rubbing its fur. This coat is reddish-brown in color, very bushy, and oily, which makes it water repellent and buoyant. The sea otter can weigh up to 100 lbs and reaches 53 to 55 inches in length. To sustain itself, the sea otter has to consume almost a quarter of its body in terms of weight each day. It dives as deep as 82 yards to feed on fish and other small sea creatures such as snails, mussels, urchins, crabs, sea stars, octopus and squids. It is native to Canada, the United States, Russia, Mexico, and Japan and is found in rocky substrates that support kelp beds, barrier reefs, and kelp forests in environments that are sandy, muddy or with silt. The sea otter is known to live in small groups of up to 50 individuals. It is polygamous with males fighting to maintain monopoly over the females' range. The male mates with the female by biting the female's nose which often leaves the female with an injury on the nose (love bite). It is known to breed all year round, and gestation varies usually due to delayed implantation after mating in order to ensure that the young are born in the best time possible. Pups weigh between 2.6 and 5.5 lbs. 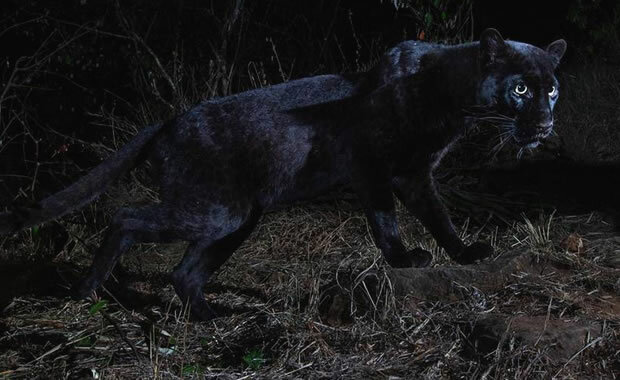 Among its known threats are hunting for its pelt (which is used in commercial trade), disease, pollution of sea water, climate and weather changes, predation by brown bears and coyotes and many others. By the early 1700s, the population of the sea otter was approximated to be around 300,000 individuals in the world. This population has undergone up to 50% declination in the past 50 years as a result of the adverse effects from the many threatening factors. The species has been listed in CITES Appendix I and II, and in the U.S it is protected by the Marine Mammal Protection Act while in Canada the sea otter is conserved under the Species at Risk Act. These measures have really helped reduce the rate in which the sea otter is declining. Copyright Notice: This article is licensed under the GNU Free Documentation License. It uses material from the Wikipedia article "Sea otter". Glenn, C. R. 2006. 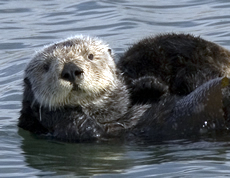 "Earth's Endangered Creatures - Sea Otter Facts" (Online). Accessed 4/25/2019 at http://earthsendangered.com/profile.asp?sp=2149&ID=9. Need more Sea Otter facts?